Our path to glory has changed, as the CONMEBOL SA Cup regulation stipulates that teams from the same country reaching the semi-finals should confront each other. That means that we will see a Brazilian team in the finals, as the winner of Palmeiras/Atlético mandatory will face either Goiás or Avaí in the semi-finals. In the other half of the draw we find Argentine teams Newell’s Old Boys and Independiente, against LDU Quito (Ecuador) and Deportes Tolima (Colombia). Atlético-MG is on a roll, having recently moved out of the drop zone after a spectacular comeback in the Brasileirão, picking up 13 points out of 18 since the swap of coach Luxemburgo (now Flamengo) for Dorival. Sunday’s victory in the derby against Cruzeiro – then League top dog – should also prove a major boost for morale. But that’s about it; the beast’s face isn’t uglier than that. The mineiros aren’t likely to show up with their strongest team on Wednesday (in fact, there are indications that they will use only three regular players in their starting eleven), as they tend to focus on the Brasileirão and their fight against relegation. Thus, Atlético is a team to beat – even playing in Belo Horizonte – if Palmeiras aspires to any type of glory this year. Rest assured anything but a victory is a tremendous failure. It’s time to wake up the Green Giant. 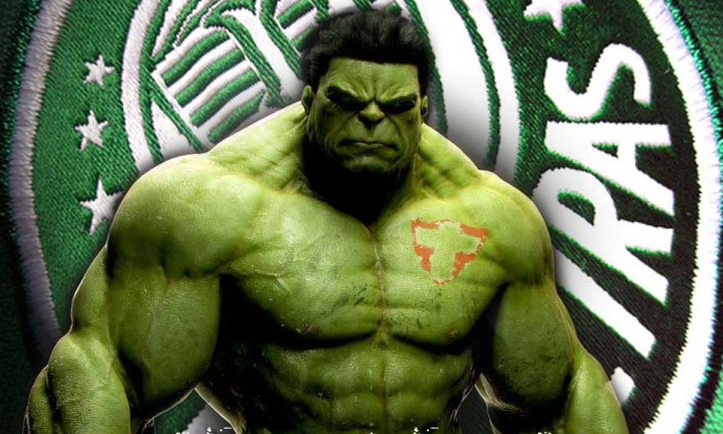 On a side note, the status of the Palmeiras’ injured players is as follows: Ewerthon is doing physical activities (earlier than expected) after his knee surgery; Marcos and Lenny are intensifying their training with the ball and Vítor is doing muscle building exercises. Go ahead, Verdão. We are with you against Atletico. This year, the South America Cup will be ours. Parabéns pelo site Kristian Bengtson divulgando o nome do Palmeiras com um belo site em Inglês. São pessoas como você que fazem nós torcedores cada vez mais sermos leais à Sociedade Esportiva Palmeiras…esse clube que passou por 2 Guerras Mundiais, perseguições, e que cada vez mais cresce com pessoas apaixonadas por um clube que tem na sua história um belo exemplo de superação. Continue com o blog que nós Palmeirenses só temos a agradecer. Como estou treinando o inglês, e se vc qdo receberes e-mails legais em Inglês e quiser me enviar…feel free to send me, ok? Dirley, thanks for your comments! And I suggest we start training your English right away. You read my posts and then comment in English, and I’ll do my best to write you back. In that way, we train in an enjoyable way, learning more about Palmeiras, right? Take care and volte sempre! We got real chances of winnig this game, and the Cup. Its the easiest way to the Libertadores Cup and we should focus on it. Dorival, the ateltican couch said that he is gonna send the backup team to the game, thats make the game a lot less complicated.